The Bilingual Champion for NTfW has compiled a list of the good practice found across the WBL sector in relation to delivering and developing Bilingual and Welsh-medium Vocational Qualifications in Wales. The document shows good practice and case studies relating to Learner Involvement; Staff Engagement; Employer Engagement, Operational Good Practice; and Consortium Wide Good Practice. New Documents have been released by Estyn which will guide and support the WBL network in the improvement of Welsh language/Bilingual provision. From princes to saints and from kings to quarrymen, Wales’s history is made up of fascinating characters that have helped shape our country as we know it today. Click here to download your free eBooks now. Post-16 learning providers should use this manual to assist submission of LLWR data to the Department for Education and Skills, please see LP67 and LA26. Assessor’s Bilingualism Toolkit – The course is aimed at assessors working with bilingual individuals and is suitable for both Welsh and non-Welsh speaking staff. Video Clips – Follow the link to see various video’s. Please see the attached folder for all Business Administration units available in Welsh. Please see the attached file for a list of all C&G units and qualifications currently available in Welsh. BBC presenter Huw Edwards tells this compelling story of the nation’s past, showing how influential Wales has been down the ages. In addition to the heroes and battles, his BBC Wales series reveals how so often, through the turbulent centuries, Wales has been at the cutting-edge of change and innovation. He begins his historical journey in the time of the Iron Age Celts and ends with devolution and the creation of a Welsh Government. Welsh-medium Education Strategy was launched in April 2010. These guides were produced by the Welsh Government Translation Service to help translators achieve consistency across the work of the Welsh Government. Tribal has recently commenced the pilot launch of TwfSgiliau Cymru/SkillsGrow Wales – formerly known as Wales Essential Skills Assessment Tool (WESAT) – to a number of post-16 learning providers across Wales. 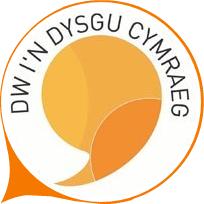 Specifically designed for use by providers throughout Wales, TwfSgiliau Cymru/SkillsGrow Wales is fully bilingual and will support a consistent, reliable and engaging approach to the learning and assessment of Essential Skills. Part-funded by the Welsh Government, the tool is being developed in collaboration with an expert user group, comprising experienced stakeholders from across the Welsh education sector. Click here for more information. On 6th January 2014, Welsh Government published the Consultation on standards relating to the Welsh language discussing the standards which will be made applicable to County and Borough Councils, National Parks and Welsh Ministers as of November 2014. Iaith Gwaith/Working Welsh resources – If a business, organisation or company has Welsh speaking staff, Iaith Gwaith/Working Welsh resources are available for use – there are many advantages to using them. There are lanyards, posters, badges and an email footer available. Click here for more information. The Welsh Language Commissioner has created a video to show the public how they can specify what they feel is reasonable for organizations to undertake and provide in the Welsh language. Ensuring quality is an important part of the Commissioner’s work. The aim is to ensure that the Welsh language is treated no less favourably than the English language so that Welsh speakers gain access to the highest possible quality of service. It is important to define what is meant by quality, be that through regulatory duties or through promoting and facilitating the Welsh language. The intention of this guideline is to identify the best possible practice when it comes to bilingual design. There are a lot of useful guides and information available on the Welsh Language Commissioner’s website including guidance on translation and bilingual correspondence; Welsh place names; data and statistics; and much more. Click here for more information. This Strategy is a historic milestone in Welsh-medium education and sets the Welsh Government’s national strategic direction. It also sets the direction for making improvements in the teaching and learning of Welsh as a language, including, in particular, Welsh second language. In 2007 the Welsh Government committed to ‘creating a national Welsh-medium Education Strategy to develop effective provision from nursery through to further and higher education, backed up by an implementation programme’. In response to this commitment the Welsh-medium Education Strategy was launched in April 2010. Click here to download the strategy. The annual report details the progress the Strategy has made in meeting its targets. The Implementation Programme that accompanies the Strategy details the work expected of the Welsh Government and its partners and stakeholders in all phases of education and training. In order to monitor progress made with implementing the Strategy, fixed five-year and indicative ten-year targets based on outcomes have been set. Progress made against the targets is published in the annual report. Click here to download the Annual Report. Please see below many useful resources which could support you in the provision of Welsh language courses with learners.